Smoking Sticks Arnis Cane Maker offers local and international training services. Prospective students or trainees, particularly for overseas prospects/clients, can avail of our personalized training arrangement. Foreign students can enter our training programs fully availing of our comprehensive in-house accommodations. As an alternative, Grand Master Rodel himself could go overseas and conduct the customized/personalized training programs. The Dagooc Brothers are fully-equipped and capable of conducting trainings for a large group of trainees or students, inclusive of both local and foreign clients under our in-house training accommodations programs. Smoking Sticks Arnis Cane Maker boasts ownership of a three-storey training center. Fully-furnished Accommodations – where our students can stay during the durations of their training supplied with all conveniences at the student’s beck and call. Well-furnished Gymnasium – where our students can hone their skills until they become masters of standard martial arts training regimen. Top Quality Real and Dummy Knives & Swords, etc. Production Workshop Facilities – producing the finest hand-crafted martial art weapons. Our seasoned craft men are working precision to turn carefully selected raw materials into masterpieces, indeed the finest products in the martial arts world. Our training complex is uniquely situated in the midst of natural and man-made amenities such as the Balisong shops/factory, and resto bars, fruit stands along the roadways. Situated amidst scenic tourist spots, such as the world-famous Taal Lake, along with world-class beach resorts - Mabini-Anilao-Nasugbu beach resorts. Set against the backdrop of Nature’s wonders, our prospective students would certainly enjoy a relaxing blend of rigid trainings and pleasurable leisure such as trekking, boating, diving, island-hopping, among others. 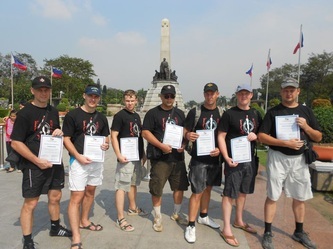 Picture-takings with arnis makers, Balisong shop owners are just a few examples of those fun-filled activities that our students can engage in while undergoing the rigors of our rigid trainings. Haven For Martial Arts Aficionados - Smoking Sticks Arnis Cane Makers offers martial arts enthusiasts an intriguing place where they can make their dreams come true. Our pledge that our students or prospective clientele are guaranteed to receive top notch quality trainings. In terms of expertise and professionalism due to the unparalleled zeal of our passionate trainers of high caliber under the guidance of consummate professionals in the world of Arnis stick fighting and martial arts weaponry training. 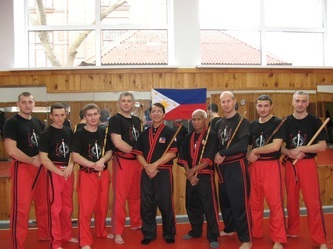 Smoking Sticks Arnis Cane Maker can hardly be spoken of without mentioning this hall of famer expert, Grand Master Rodel Dagooc, as this paragon of excellence is the substance and spirit of this flagship company and it is his brainchild. So, Look to where the ‘Smoking Sticks’ burns brighter, and you will find your way safely in good hands. Business address: 108-B Balayong, Bauan, Batangas 4201. Landmark: Balayong, Bauan, Chapel. 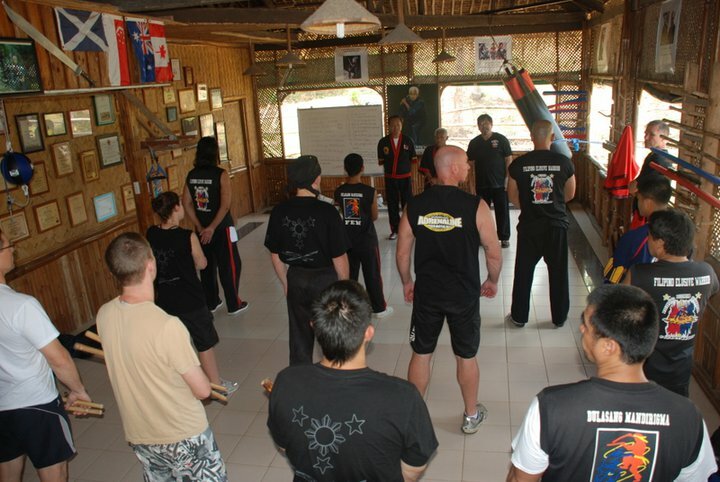 Interested to know more about our training process and itinerary or other custom packages?